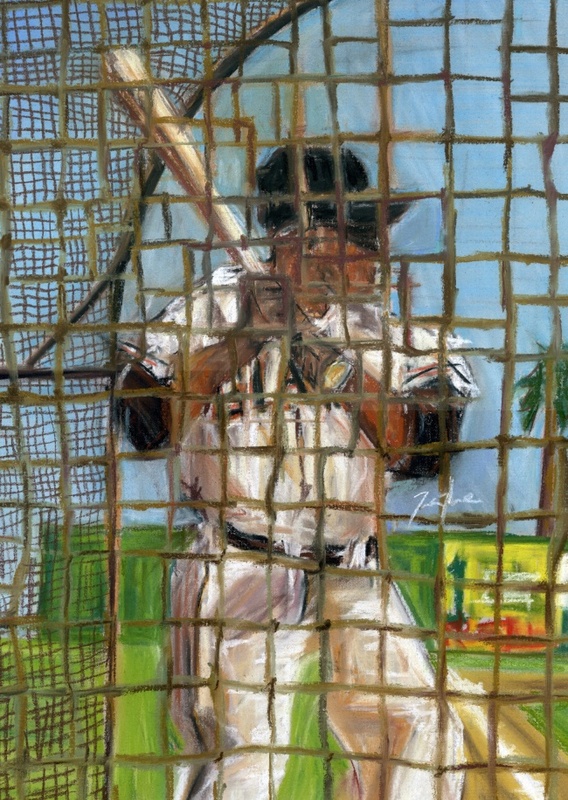 On April 15, 1947 Jackie Robinson made baseball truly the national pastime. 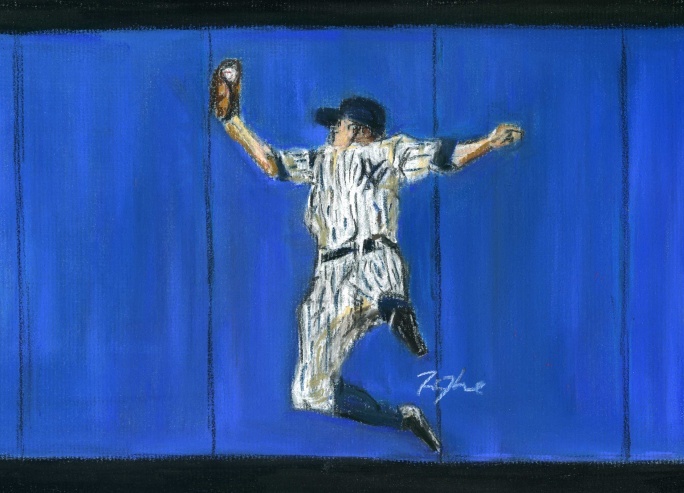 He was more than baseball hero, he was an American hero. 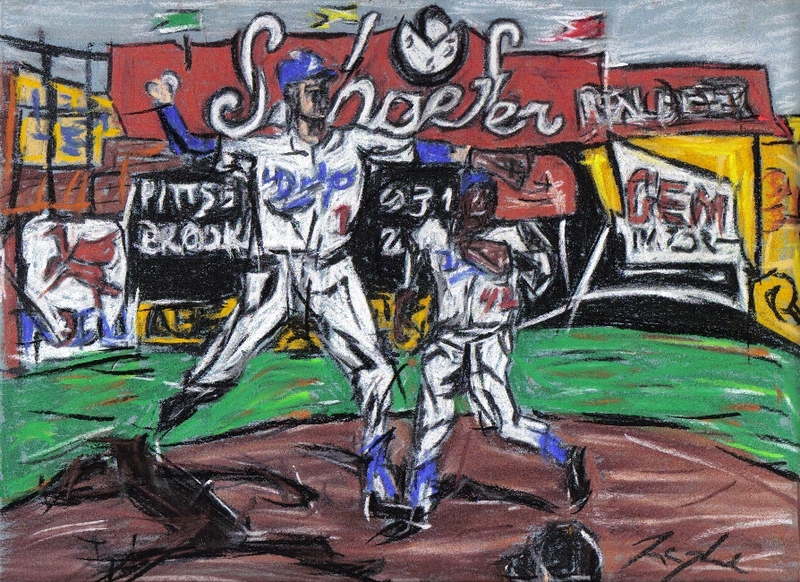 Also featured in the picture is his fellow HOFer and double play partner, Pee Wee Reese. Soft Pastels on Mi-Teintes paper. ~9" x 12"
Opening Day is tomorrow, and hopefully the spring weather will follow baseball. 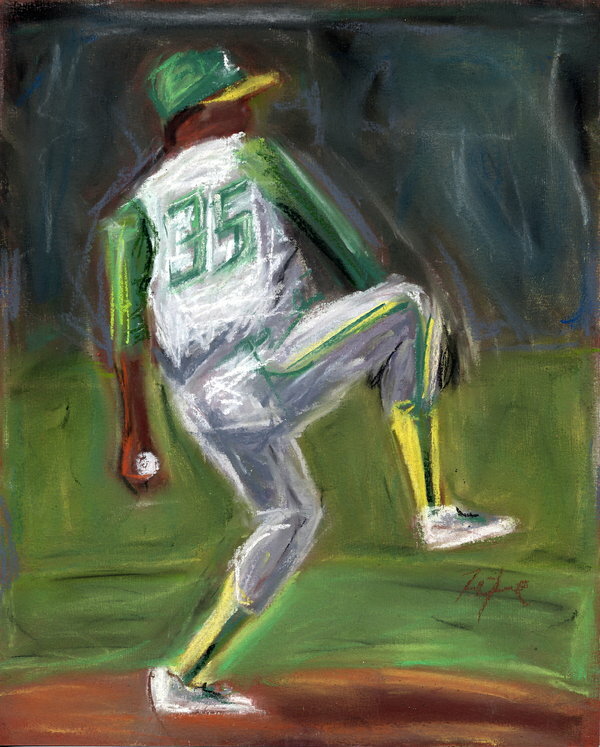 I plan on doing some contemporary ballplayers once the season is in swing. 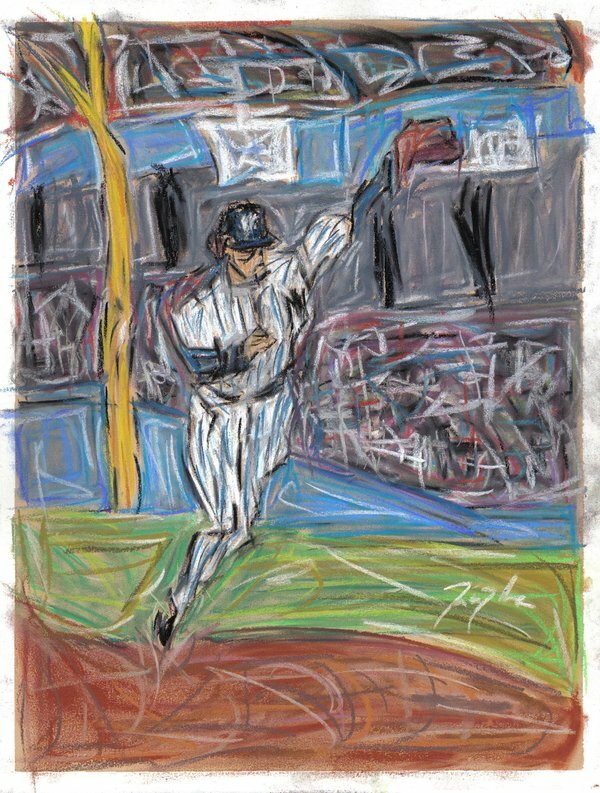 Meanwhile enjoy a picture Graig Nettles doing what he did best, manning the hot corner. Soft pastels on Art Spectrum's Colourfix Paper. ~9" x 12"